Originally Tarot cards were used as playing cards, but by the 18th century, they began to be used as a divination tool. They are not simply cards with interesting pictures. They can lead us to the story of our lives and connect us to our inner wisdom. Each of the 78 cards in a deck of tarot cards represents a life lesson and defines the types of lessons we all experience. Cups relate to the element of Water, emotions and feelings, pentacles relate to Earth, money career, finances and the physical world, swords relate to Air, intellect, thoughts and rationality, wands represent Fire and relate to inspiration, ideas and passion. Each suit has 14 cards and all of the minor arcana are associated with the more practical aspects. In a spread, they usually refer to current issues. There are 56 cards in the Minor Arcana and they are organized into suits. The suits are usually represented as cups, pentacles, swords and wands, but many modern decks have changed the symbols that are used. Pictures on the cards may vary, but the core meaning of each suit remains the same. The Major Arcana has 21 cards that represent our journey towards self awareness. Each card is given a name and number and relates to a specific stage of inner growth. When Major Arcana cards appear in a spread, pay attention because they identify a life lesson that is coming to pass. At one time, there was a thought that you should be given your first deck of tarot cards, but times have changed and choices have grown. Picking your own deck can be a fun experience. 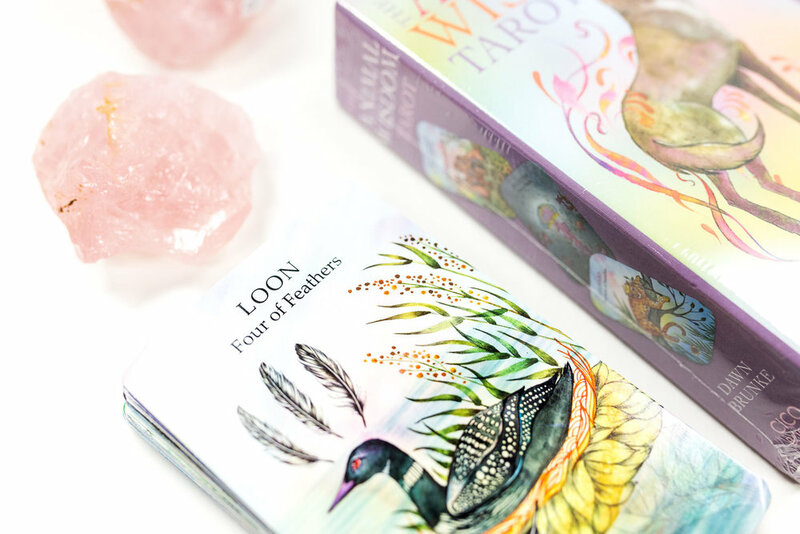 Let your intuition guide you into picking a deck you feel connected to. Maybe you are drawn to the imagery or maybe you like what the deck represents...there are no wrong choices. Explore the imagery of traditional and modern decks and find out what speaks to you. Ascendant Books has a wide variety of tarot decks that are on display….look through our selection and find the one that is right for you.